My husband and I are not huge football fans, but we love watching the big game at the end of the season. Our GameDay Tradition is to watch the big game at church with all our friends and family. Our church goes all out for the big game and throws a wonderful party. The party includes the game on a big screen, plenty of food, and plenty of conversations. There is also plenty of fun too. Our church members love to cook also, so we always have some sort of contest for the best food. One year the food contest was for the best soup. My husband and I both love to cook, we also try to out cook each other with our cooking. So we each made a soup for our Souper Bowl Sunday party at church. 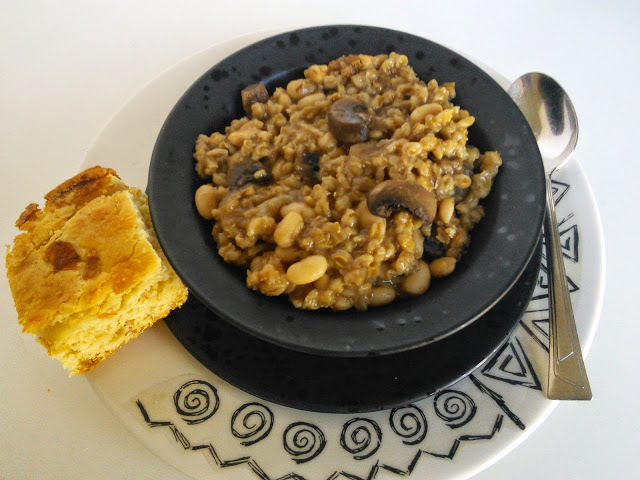 I made a wonderful Vegetarian Mushroom Barley White Bean Stew and my husband made one with meat. I don't remember if our soups won or not and don't ask me which team won that year. All I remember is the fun I had eating and talking with my friends. I may have watched some great commercials too. 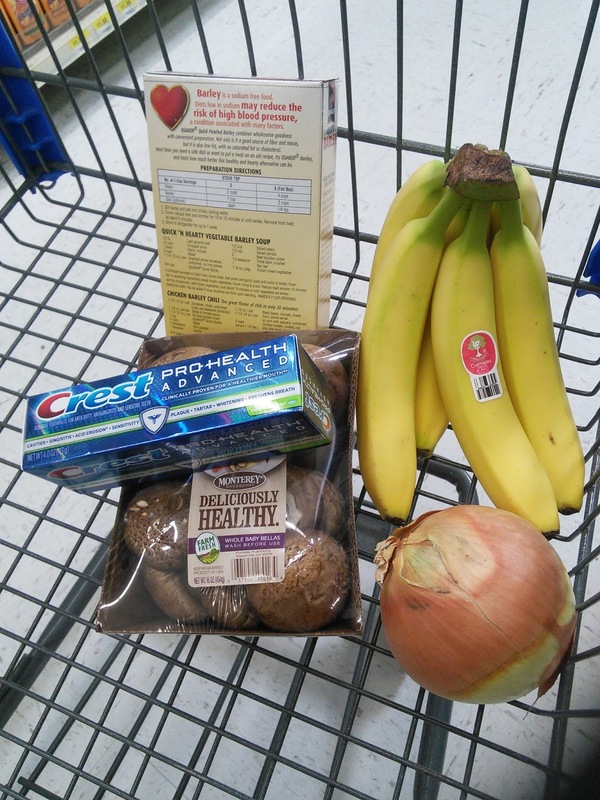 My GameDay Tradition starts off with a trip to Walmart to pick up all the ingredients to make my soup. While I am shopping for food, I also use this time to pick up a few items that are needed for my husband and I to look our best for the big game. We needed some toothpaste to keep our breath smelling fresh for all the conversations that I will be having during the big game. Into the cart went my favorite toothpaste. 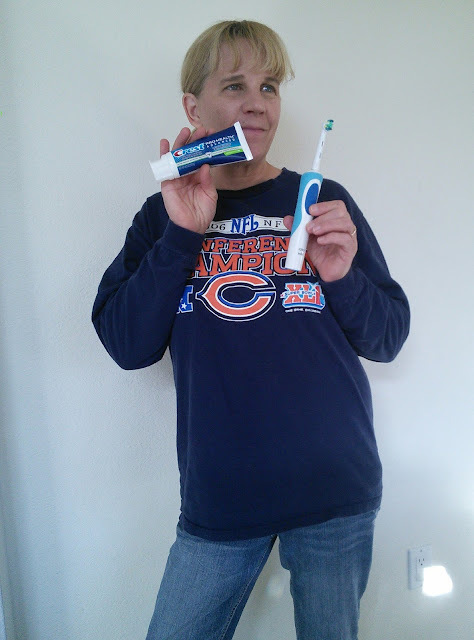 Crest Prohealth Advance Toothpaste does a great job of keeping my gums healthy. Crest also gives me stronger teeth. While I was shopping for toothpaste, I discovered a cool rechargeable toothbrush that I just had to have. I love that the Oral B Vitality has a round brush to remove more plaque than my manual toothbrush. It also has MicroPulse bristles to clean between my teeth. 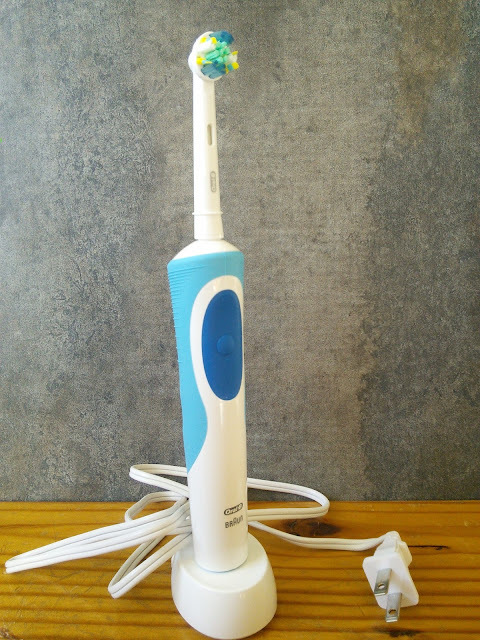 The two-minute timer will help me to brush longer and a rechargeable battery means I don't have to replace batteries. Another cool feature to this toothbrush is the indicator bristles that fade to let me know it is time to replace the head. While I was shopping at Walmart for all my other GameDay Tradition items, my husband called me. He was out of razors and needed me to pick up a new one for him. 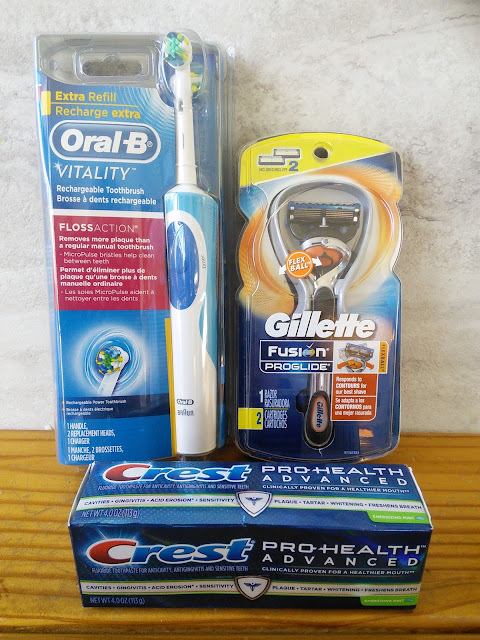 My husband did not need to tell me which kind of razor to get as he will only use Gillette Fusion ProGlide on his face. I don't complain at buying him a new razor as I love a clean shaved face on my man. My man needs a smooth, clean shaved face while watching the game if he wants any touchdown kisses from me. 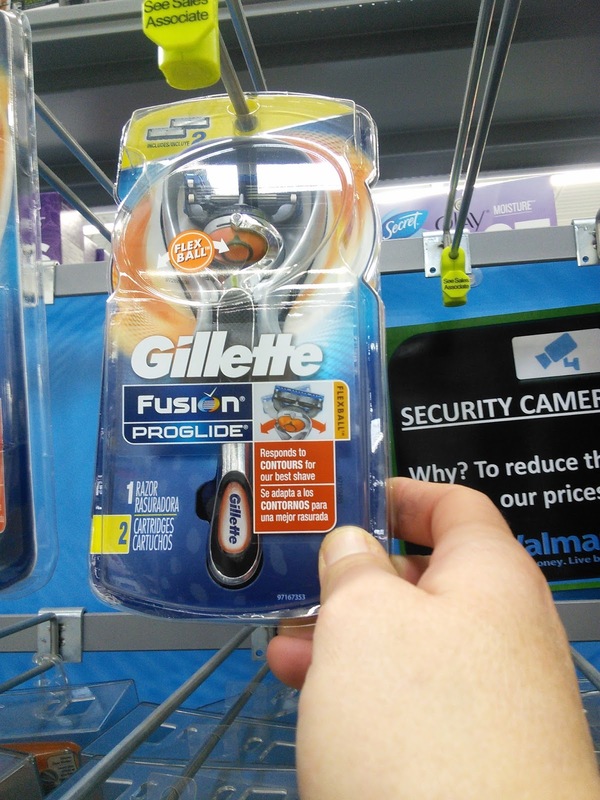 The Gillette Fusion Proglide has all these cool features to give my man a smooth face. What are your GameDay Traditions? That stew sounds good. Snacks are a MUST for game day in our house. I would have this without the mushrooms but I love white beans! Yummo!! I love that the soup is hearty and delicious but also vegetarian!! I bet my hubby wouldn't even miss the meat!! So glad this is a vegetarian option that will still fill you up. Perfect now that it's finally getting a bit cooler here in FLorida. 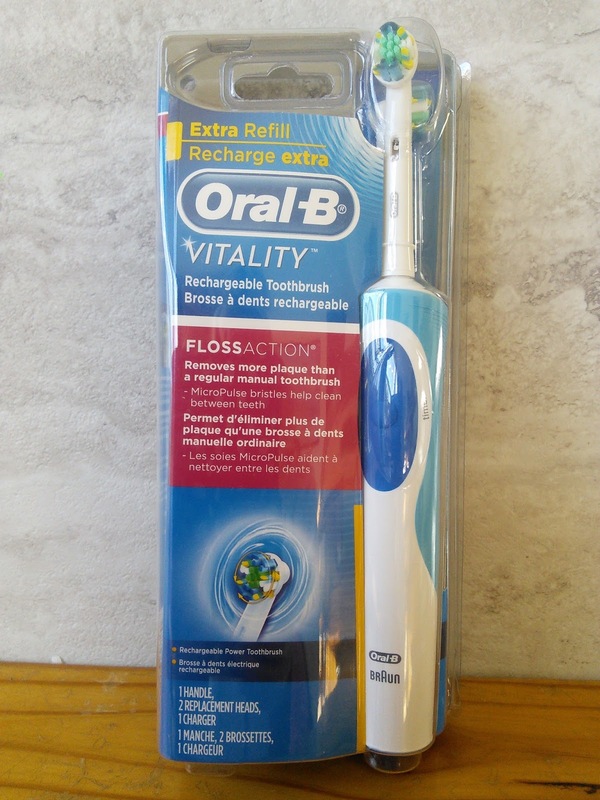 PS: I love the smaller head on the Oral-B Vitality; better than others I've tried. Yummy! The soup looks delicious. That soup is perfect for the cold weather! Thanks for sharing! Oral B Vitality is a super toothbrush, my family uses Oral B and we see such an improvement when we visit the dentist. The soup looks great too. Wonderful I think. I looks yummy. Interesting way you made the link between these subjects. :) I don't do Game Day but sure love having a good stew and toothbrush. That stew looks interesting. I love soup and it is perfect for the winter. The stew looks yum! I love mushrooms! Thanks for sharing this recipe. I think this is the only healthy game day food that I have encountered this week. It looks yummy! I love vege soup and this looks super yum. I am really not a football fan and I am not so familiar about super bowl traditions but you sure prepare great food to enjoy your game! What a greap soup. That looks wonderful. haha I see what you did there, SOUPER bowl. ;) Looks delish! That soup does look good, sounds like a fun way to watch the game! We don't have much traditions when it comes to watching the game but my son loves football now so we'll probably do something big this year.